We had our second ever meeting last night, and although we had about half the number of people come as we did at our first meeting there was tons of energy and good ideas passed around. We met in what is currently our most preferred garden location. It was nice to be in the space. I'm sure its the most use the park has seen in, um, forever? hehe. Here are some pictures of the park (located on the northwest corner of the Harlem Ave. / I-290 interchange). But, don't get too excited quite yet. The land isn't "ours", and as we move forward in the process, not having a piece of land to use runs the risk of hindering progress toward that very goal. Gina and I realized pretty early on that there was going to be a question about which should come first: raising the money to build the garden or securing a piece of land to use. How do we ask for money if we don't know the details of the space we will be using such as soil conditions and availability of water and a fence? How do we convince people that we're serious if we don't have a space to point to? But, how do we convince the Village, the Park District, and all others involved that we're really serious about this idea until we are able to demonstrate that we can really raise the money to pull this off? Which comes first, the money or the land? After the meeting last night, I think we've decided that the answer is: the money should come first. Money is always one of the most important questions that comes up no matter who we're talking to about the garden. How are we going to raise the money to do this? (Answer: We really have no idea and little other than a feeling that "things will work out somehow" to guide us.) How much money do we have? (Answer: Zero, negative actually if you count the money Gina and I have already spent out of our own pockets on the website, food for the first meeting, and other stuff I've already forgotten about.) Also, we are beginning to get the feeling that getting the land situation set is going to take a while. There will be red tape, lease agreements, governmental approval to get through. While all that is happening (most of it is out of our hands) why not spend our time and energy improving our financial situation? So that's what we're doing, folks. At the meeting we came up with several ideas regarding funding sources. They include: fundraising events such as car washes, hot dog stands, and restaurant give-back days; soliciting money and in-kind donations (aka: garden supplies rather than money) from local landscape / garden businesses; and any grant program we can find. I left the meeting feeling very optimistic about the ideas we came up with and the level of energy the group has to put toward pursuing them. We're also starting to get a more realistic hold on just how much this is all going to cost us. 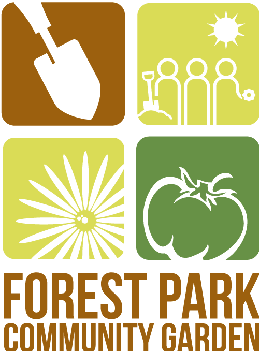 We found out earlier this week that there is no water access at the park currently and that it will cost $5,000 to have water access installed. This sounded great, since we had been told that the dog park paid $13,000 for their water access. $5,000 seems like a steal, although it pretty much doubles our original budget. Other major spending items which may or may not be in our future include: clean soil and raised beds which would be necesary if the soil tests positive for lead (we'll have those results in about three weeks); and the cost of a new, prettier and more secure fence, if we decide that the short rickety not-so-pretty fence that's there right now wont work. We'll also soon be registering as a nonprofit corporation which will make it a lot easier for us to accept donations and get a bank account and all that stuff. Thanks to everyone who came to the meeting last night and brought such great energy and enthusiasm. About once I week I get overwhelmed and wonder if I have the time and energy to see this project through. However, all I have to do is meet up with some of my garden groupies and I feel all better again. I hope that the garden itself can serve a similar purpose for all of us once its up and running: give us a place to relax, get away from the stresses of everyday life, and recharge.